I love Sapwood. My favorite wood is Walnut and while I love brown walnut with dark chocolate or black streaks, I think that sapwood, the white part of a board, can look very cool. So it was no accident that Ben came into my office with a crazy dovetail saw and wanted to know if I wanted it. 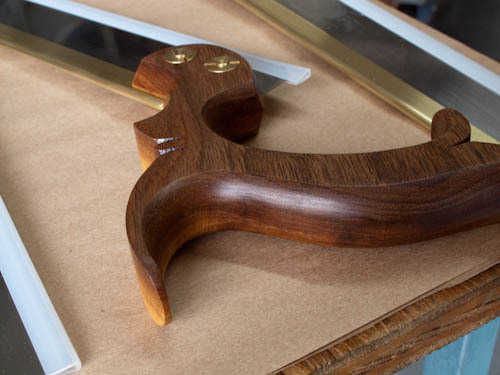 One side of the handle is regular walnut, the other side is sapwood. 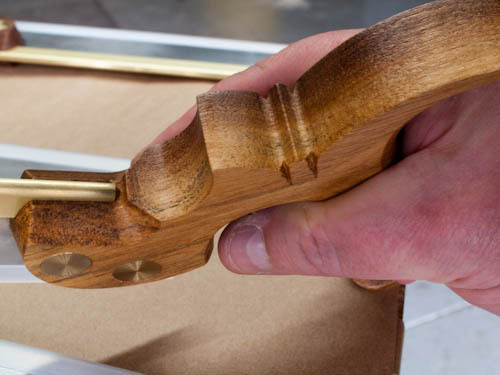 Over time the walnut side will get darker and the differences even more pronounced. The seam of dark and light running consistently through the handle is pretty nice too. I thought the whole saw pretty cool (peachy keen, groovy, sick - depending on your age) but I already have a Gramercy Dovetail saw and while I was tempted, practicality won out. I mean how are you supposed to decided which saw to use if you have two of the same saw? What's cool is that depending on how it's laid on the bench you get a completely different look. Ben said I should mention it in a blog and the first person who wants to remove it from my temptation should email me your phone number or call 800-499-5877 and ask for me. It's the same price as our regular dovetail saws but some people don't like sapwood and we would much rather it go to someone who does. The saw has found a new home and is no longer available! Incidentally - or not - depending on how you look at it. 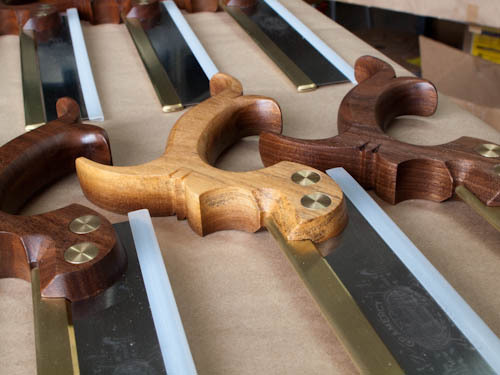 Saw demand has been way up, which is why we have been periodically out of stock lately, but as you can see in the background of the photos, lots more saws are coming out of the workshop and you can order yours here. 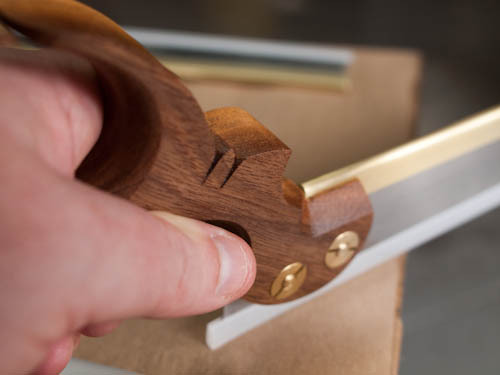 P. S. - As the title of the blog saws, saw vises and holdfasts are back in stock!! I love the sapwood too, especially in tools. Too often it is graded out in exotics before it makes it to our shores, so getting harder and harder to find; so we have to settle for sapwood in domestics like cherry and walnut.